The language tag challenge did remind me something which always baffles me on "Star Wars" franchise: Why on Tatooine would intelligent androids use beeping for communication? The androids are "general purpose AI" by our standards and are able to learn in same (or faster) pace as normal kid. Also, it is safe to assume that just built android comes up with standard OS (Android, probably? Pun intended) preinstalled. While droids can communicate with their masters, I think that to communicate amongst themselves, they would eventually come up with some language. But would that be beeping? If the droids can only communicate with each other verbally, that is, with vibration in atmosphere within the human audible range (pretty speciest if you ask the Wookies), then they'll use highly complex words. Something similar to those tones your modem played when connecting to the internet or fax machines. These words will be composed of modulated data on a wide range of audible frequencies simultaneously. The best way to imagine this is listening to someone with a very low voice and someone with a very high voice speak at the same time. The android is capable of filtering the incoming audio based on frequency and then demodulate them. By using ASK (amplitude shift keying) and some other fancy tricks they can get up to 10 Kbps on the higher frequency channels. While the droids could feasibly use much better modulation schemes than simple FSK or ASK to get significantly higher data rates per channel, even using this method to transfer data on perhaps ten simultaneous channels, they could likely get well over 75 Kbps. It's probably enough for standard communication. They are machines that think at blindingly fast speeds. Expressing their ideas (which might be system data, binary, etc) in a SPOKEN language is ludicrous. That was done simply because it's a movie, and the droids had to be "cute" for the audience. In most likelihood droids would communicate via wireless transmissions, laser pulses, or some such manner (bluetooth, etc) which has nothing to do with having to "speak". A standard communication protocol would be in effect. This is basically the internet. Billions of different devices communicating with one another over a vast network. Some droids need to interact with humans, others not so much. That little box on wheels that cleans the floor wouldn't need to speak to anyone, or even be capable of complex thoughts. C3PO is an ambassador droid, and knows a ridiculous number of languages, as well as being able to communicate with other droids. I honestly do not think it is reasonable to exclude wireless communications, or laser based communications (not blasters). Advanced technology basically can't exist without wireless, and we see many examples of such communications (interplanetary, across solar systems, etc) in the movies. As I commented below, the only situation in which a droid might not be able to communicate wirelessly would be that it is damaged, or restricted from doing so due to situational (battlefield) conditions. At that point laser based communications would be critical. Excluding even laser communications, however, beeping might make sense. A fast-forwarded binary type of communication based on "long" and "short" (on their scale, not for human ears) beeps. It would be horribly inefficient, and painful for any human listening to them, however. Sound can be a useful way of transmitting data. 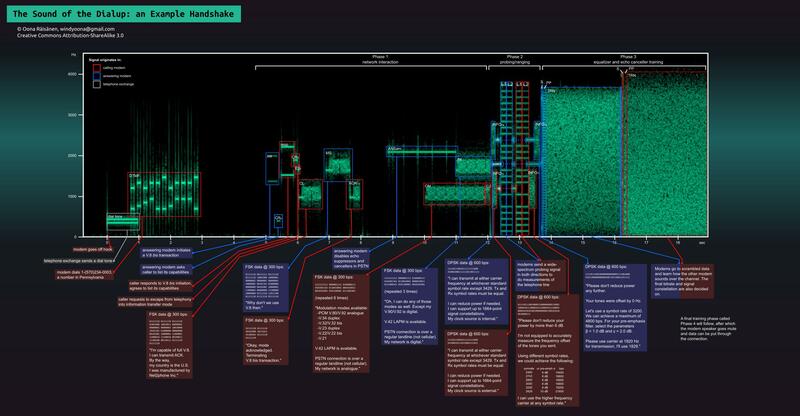 We've been using modulated sound waves to send data down telephone lines for a while now via modems. The problem with sound is how quickly it can be modulated and still have the pattern recognizable. You could improve this by not using a base 2 binary signal, and instead use overlapping wave patterns to transmit a higher base system. There is also the problem of loud environments, but certain frequencies of sound would be able to cut though that with little trouble. There are a few companies out there playing with the idea of transmitting data with sound, and I've heard of a computer virus that spreads with sound to infect airgapped computers. So interesting article I read about data transmission through visible light, called LiFi. The tl;dr version is that with distances of about 3 meters you can get data transmission speeds of up to 224 Gbps, which is an order of magnitude faster than WiFi. Their real world examples transferred a 1GB movie in 1 second. One other possible advantage of this over WiFi is that it could be directional, and so a little more private. So that little blinky light on R2? High speed inter-droid communication. Not the answer you're looking for? Browse other questions tagged reality-check language android or ask your own question. What kind of non-lethal attacks can a robot use against humans?